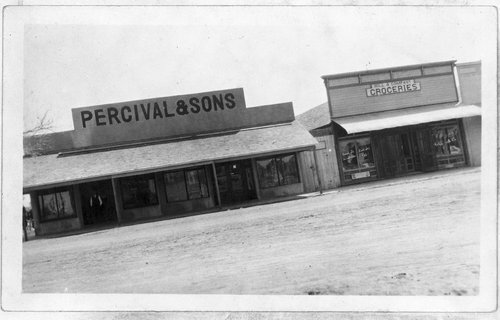 This photograph shows the exterior of Percival and Sons and Hill and Company groceries in Hoxie, Kansas. The original photograph was taken on a slant. See Item number 218742 for the interior view.